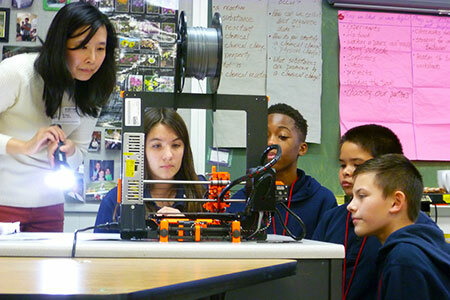 Pi-Sui Hsu demonstrates a 3D printer. Six sixth-graders at Rockford Environmental Science Academy are exploring Next Generation Science Standards – and having a blast at the same time. 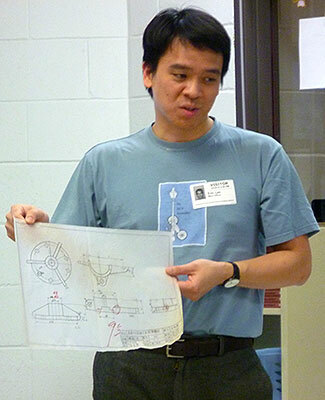 Pi-Sui Hsu, an associate professor in the Department of Educational Technology, Research and Assessment, is making weekly travels to Rockford to run an after-school program called SAITIS: Scientific Argumentation in Transportable Invention Space. 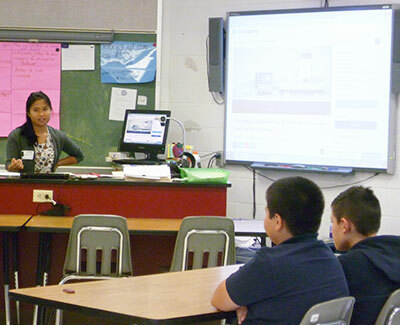 Her development of science-focused, after-school programs benefits students in the STEM area (Science, Technology, Engineering and Math) and prepares them for college readiness. This work is supported by state and federal grants funneled through Rockford Public School District 205 as well as a College of Education Dean’s Partnership Grant. For 75 minutes each Tuesday afternoon, the boys and girls meet in a “makerspace” classroom equipped with a 3D printer and plenty of hands-on tools needed for designing engineering prototypes. Hsu intentionally keeps the number of students low to accommodate the production of all of their designs on the 3D printer, which can take hours. When each week’s design assignment is complete, the students gather around a round table to present and explain their work. They also question the designs of the others and defend their own against similar challenges. 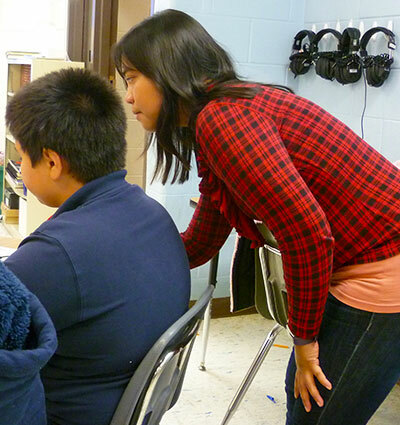 Hsu, whose previous work in middle school-level scientific argumentation has included international, Skype-hosted conversations between the Chicago suburbs and Taiwan, is supported by the Ministry of Education in Taiwan. 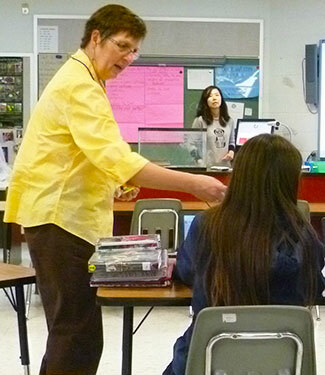 Carol Kraft, the lead sixth-grade science teacher at RESA, is the front-line collaborator with Hsu. Jan Solano, a STEM pre-service teacher; Silvia Ginting, a doctoral candidate in the Instructional Technology program; and Eric Monsu Lee, a desktop fabrication expert from the Illinois Institute of Technology; joined Hsu and Kraft in developing the interdisciplinary curriculum. All helped to launch the pilot project at RESA during the 2017-18 academic year. With the approval of Rockford Public School leaders to continue, they started in earnest during the fall semester. Brooke Holstrum, a Secondary Science major, joined the project this spring. Past projects have included solar-powered cars, a task that posed a secondary challenge. Students needed to consider the angle of the solar panel, she says, but most failed to also figure for the angle of the sun. Beyond their development of design and scientific argumentation skills, the six students are gaining an early knowledge of engineering concepts along with critical thinking: Hsu and Kraft are known to ask the students to explain why they made the decision they did. Students also are making connections with RESA classmates they might not know otherwise as they become confidence and independent workers, Kraft says. Meanwhile, Hsu is gathering data on the program. “The focus of this project is to see how students change their attitudes about learning science. We are doing pre- and post-surveying on their attitudes,” Hsu says. Physiological data on skin temperature during the after-school activities is also being collected to measure how the minds and bodies of the sixth-graders respond to the scientific challenges put before them. Hsu and Kraft also hope to publish the results of their work and present at the Association for Educational Communications and Technology conference. Paul Fix, assistant director of Secondary Science Educator Licensure, for recruiting students from his program. Wei-Chen Hung, chair of the Department of Educational Technology, Research and Assessment, for his support.